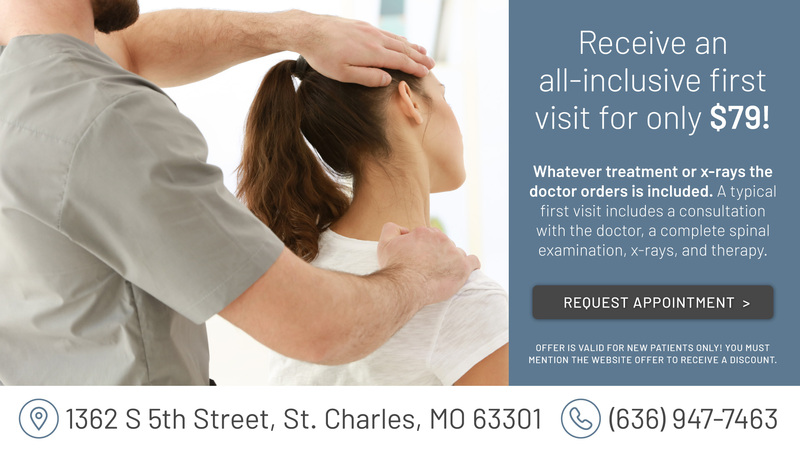 We are your family wellness solution in St. Charles, Missouri. If you’re looking to get well and stay well, we’d love to meet you. We’re the headquarters of the lifetime Family wellness movement in St. Charles County. Serving the communities of St. Charles, St. Peters, Cottleville, Harvester, O’Fallon, St. Peters, Lake St. Louis, Bridgeton, Maryland Heights and Florissant. For more than 25 years, we’ve been treating some of the most difficult cases as well as supporting the ongoing health and wellness goals of our patients. We’re your advocates in health. If you come to us with a specific injury or condition and we can’t help you , we’ll tell you. Then we’ll make every attempt to find someone who can. Our team of experts provide a variety of wellness services designed to help you get your health back. Spinal Corrective Care: A process similar to braces on your teeth, only for your spine. Specific scientific chiropractic adjustments, posture correction exercises and home traction. This restores healthy posture and the curves in your spine, allowing for optimal health potential. Family & Wellness Care: We know an optimal spine and nervous system = optimal health. Families that get adjusted regularly are among the healthiest on the planet. After completing corrective care you are eligible for wellness care. Science Based Nutrition: We provide advanced laboratory analysis through blood work to determine nutritional deficiencies and track progress. We don't guess. We test. We find so many people taking supplements without even knowing if they have a deficiency. We're excited to share how our chiropractic care can be your family's solution for living a healthy and productive life! Are pain and discomfort controlling your life and robbing you of happiness? When you’re in pain and discomfort, you don’t feel like yourself, do you? You’re trying to make it through each day instead of making the most of each day. When you’re living with pain, things that used to bring you joy and happiness instead bring you frustration and disappointment. Daily activities you used to do with ease, can seem impossible. When you’re living with pain, you go to sleep each night (if you can sleep through the pain) and pray that you’ll wake up feeling better in the morning. But it doesn’t happen. Instead, you wake up to another day when you’re controlled by the pain. Living in pain is a lonely feeling. You’re the only one who truly knows how much pain you’re in because no one can see your symptoms. At Rivertowne Family Chiropractic, we understand what you're going through. We help patients every day who are going through similar circumstances. You are one of the reasons why we love what we do. There's nothing more rewarding than helping someone take back control of their health and happiness. When you visit us, you'll become a part of the Rivertowne family. Unfortunately in our society the first reaction to pain is to mask the symptoms with medication. Over-the-counter and prescription drugs may offer some short term pain relief, but they don’t address the underlying cause of the pain. And the drugs still don’t allow you to feel like yourself. Especially pain-killers and muscle relaxers that make you so tired you feel like a zombie. Plus, they can lead to addiction and dependency. Does that sound like living your best life? Not even close. How would it feel if you could get rid of your pain and discomfort without taking pain relievers and other medications? How would it feel if you could use an all natural approach that allows your body to heal itself? That’s right. No more covering up the pain with pills. Instead you can fix the cause of your pain. You can cut off the pain at the source! That’s what chiropractic care at Rivertowne Family Chiropractic can do for you. If your pain and discomfort is so severe that you’re considering surgery to fix the problem, come in to see us first. Dr. B and Dr. Joel help patients successfully avoid going under the knife all the time. The treatment our patients received at our practice allowed their bodies to heal themselves. Your body is an amazing wonder of the world. God made you with the innate ability to heal. Your central nervous system is the main control and information center for your body. It sends out signals through nerves to every other part of your body. Your spine protects your nervous system. When the vertebrae in your spine get out of alignment, that interferes with your nervous system’s ability to communicate effectively with the rest of your body. When that happens, your body can’t function or perform at 100%. It’s that dysfunction and miscommunication of your nerves that often results in pain and discomfort like back pain, pinched nerves, neck pain, migraines, sciatica, allergies, asthma, carpal tunnel, acid reflux, and more. It’s not uncommon for someone to have a surgery date scheduled and they come to us in a last ditch effort. Quite often, our treatments are so effective that they experience relief and can avoid surgery altogether. No one likes to get cut on, and there’s no such thing as a “minor” surgery. Everyday activities cause misalignments all the time. But sometimes, sudden injuries like a car accident, sports injury or occupational injuries can be the cause of your misalignment. We provide treatments every day for people who’ve suffered an injury and are living in pain. It’s our greatest joy when they share how much relief they feel after their treatments. That’s a question we get all the time from patients who are new to chiropractic care. We totally understand why you might be scared or nervous about getting adjusted. It can look a little scary. But the truth is, most people really enjoy getting adjusted. If you’re in a lot of pain and an entire area of your body is tender to the touch, you may feel some discomfort for a second or two during an adjustment. But it wouldn’t be any different than if you were simply pushing on or massaging the sensitive area. The adjustment itself isn’t what’s painful. It’s just the sensitivity of the injured area. Dr. B. and Dr. Joel are pros and as gentle as can be. You’ll get a pleasant feeling of relief when the dysfunctional joint starts to move more normally. In addition, a spinal adjustment releases endorphins in your body. How Long Do You Need To Keep Coming Back For Treatments? The length of treatments varies on a lot of factors like, severity of the misalignment, if an injury was sustained, and how your body responds to the treatment. Everyone is different. Regular chiropractic treatments aren’t necessary, unless you want to live to your body’s full potential at all times. You Can Be One of Our Happy Patients, Too! We're located in Saint Charles near I-70 & 5th Street, in the Three Flags Center. 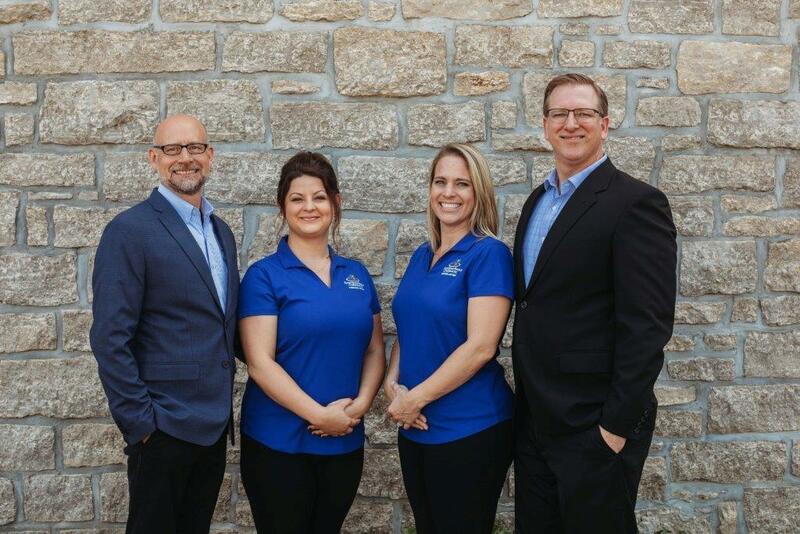 Dr. Edward Bickmeyer and Dr. Joel Mikos, and staff are committed to helping you & your family achieve better health through all natural chiropractic care! 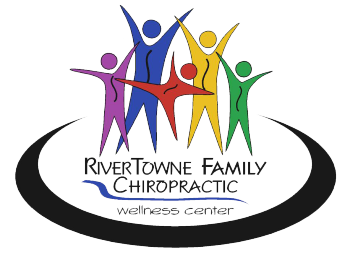 At RiverTowne Family Chiropractic you'll receive the highest quality, state-of the-art chiropractic care available today. If you have never had a spinal check-up it's not to late to start enjoying the healthy benefits of chiropractic care. CONTACT US today for a FREE CONSULTATION with the doctor! I have suffered from neck pain for so long I felt there was no relief in sight. Since I have started regular care with Dr. B., I am seeing results and relying much less on Advil. I was always looking for the quick fix. Dr. B and Dr. Joel have taught me so much about spine care. I am looking forward to a pain free 2018! Dr.B is wonderful along with everyone else in his office. The best chiropractor I've ever been to NEVER gave up on helping me with a very difficult back injury. He is the reason I am able to walk and get around today. My daughter and I love going to Rivertowne! Everyone is always very friendly and genuinely care about our health and are very supportive! The Rivertowne staff are always cheerful and friendly! They truly care about their patients’ well-being. Dr. B and Dr. Joel are very knowledgeable and happy to explain what they are doing, help their patients feel better, and provide ways to keep them healthy.